What: Levi’s® understands that your budget might not stretch as wide as your heart does during the holidays; that’s why they’re offering up to half off their favorite fall items in a private sale exclusive to close friends and even closer readers of Thrillist. 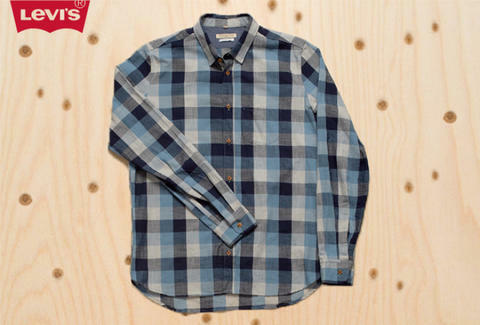 Among the offerings: items from their Made & Crafted™ line -- stalwart pieces made with painstaking attention to detail -- and Levi’s® Vintage Clothing, which is cut with the same dimensions as their iconic predecessors. Where: Levi's® Meatpacking store, at 414 W 14th St, where you'll also find a tailor and an in-store historian, so you can get expertly fitted, and learn everything you never knew about the yoke loop, but were afraid to ask. Got an even more pressing question? Then call them at (212) 367-2110. When: Shop between Dec 16th - 20th, and you’ll have a manfully stylish leg up on the masses, who won't hear word one about this sale until Dec 21st. Why: You need gifts, and you need clothes for yourself, because no one wants a man with no clothes bringing them gifts.